경상북도 성주군 성산일대에 있는 성산가야지배층의 무덤들이다. 성산의 정상에는 성산산성이 있고 주변에 70여기의 가야 무덤들이 분포하고 있다. 1호 무덤은 높이 3.6m, 지름 13.6m로 내부구조는 앞트기식돌방무덤(횡구식석실묘)으로 보인다. 돌방(석실)에서는 은제관장식과 고리자루큰칼(환두대도), 각종 토기류가 발견되었다. 2호 무덤은 구덩식돌방무덤(수혈식석실묘)으로 창·도끼·손칼을 비롯하여 많은 수의 토기가 발견되었다. 58호 무덤 굴방에서는 금제굵은고리귀고리(금제태환이식), 은제팔찌, 금동제말장식(행엽)이 발견되었다. 각 무덤에서 발견되는 굽다리접시(고배)의 굽에 생긴 구멍(투창)이나 1호 무덤에서 출토된 관장식이 경주지역의 것과 유사성을 보인다. 또한 58호 무덤의 유물은 전형적인 신라제품으로 5∼6세기경 성산가야 지배층의 무덤으로 추정된다. 이러한 유물들은 성산가야가 신라와 밀접한 관계를 가졌고, 당시 신라와 적대관계였던 인접한 대가야와는 문화적으로 교류가 없었음을 보여주는 중요한 자료라 할 수 있다. 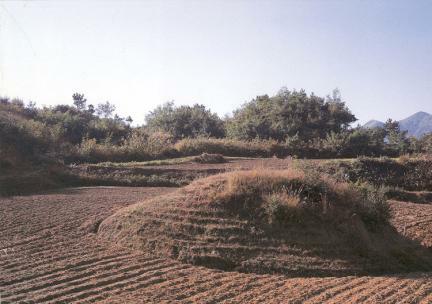 Located around Seongsan Mountain of Seongju-gun, Gyeongsangbuk-do, these are the tombs of the Three Kingdoms Period. There is a fortress wall at the top of the mountain, with about seventy tombs of Seongsangaya were scattered around. 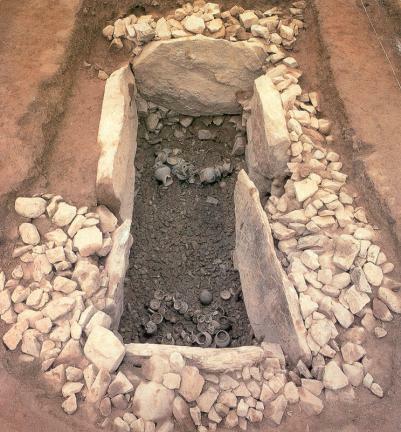 The inner structure, which has the height of 3.6m and the diameter of 13.6m, seemed to be a front-open stone chamber tomb with horizontal digging style. 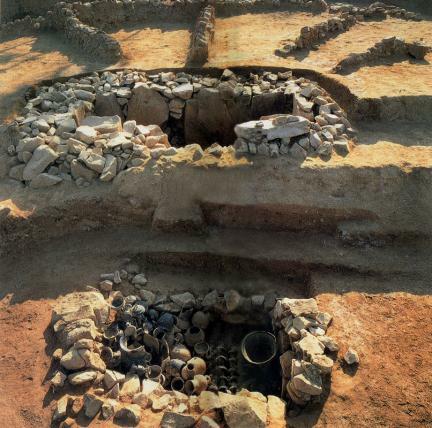 The second tomb is a stone chamber with vertical digging style, and spear, axes, and hand knife, including lots of pottery, were found here. 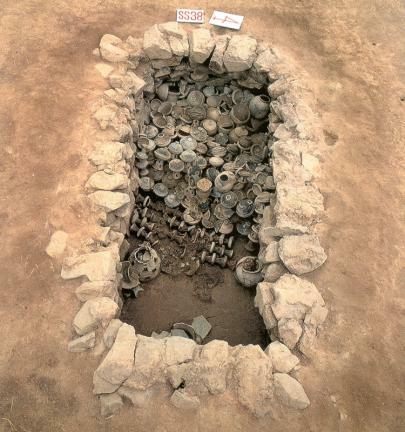 In the chamber of the fifty-eighth tomb, silver bracelet, horse ornament made of gold, and golden earrings were found. 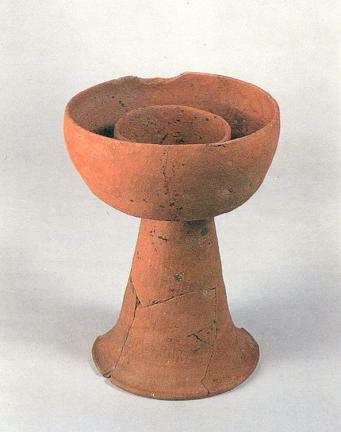 The hole formed at the foot of the mounted dish pottery which was found in each tomb and the crown ornament excavated in the first tomb are similar to those of the Gyeongju area. 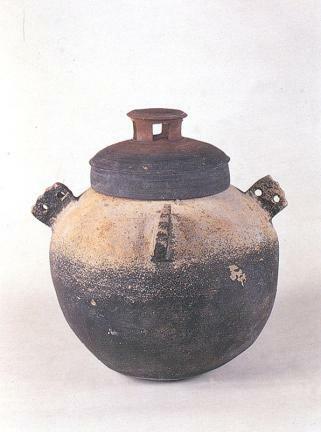 The relics of the 58th tomb are a typical product of the Silla, so it is considered to be the tomb of the ruling class of Seongsangaya. 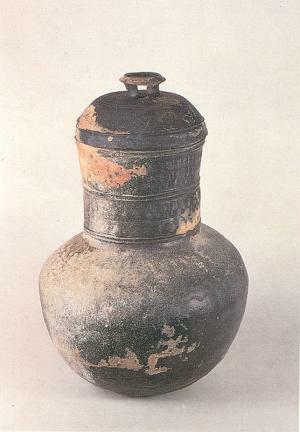 Judging from these kinds of relics, it is a case showing that the Seongsangaya and the Silla had a close relationship. 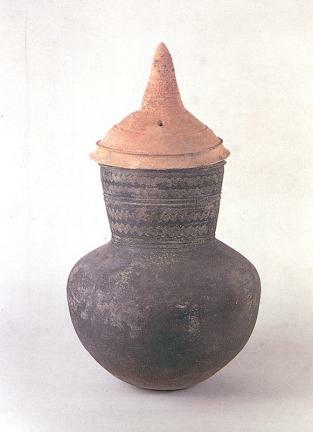 It is an archeological evidence of the cultural severance with the adjacent Daegaya, which was hostile to the Silla.